I hope you are all doing well and are having a wonderful long Easter weekend. 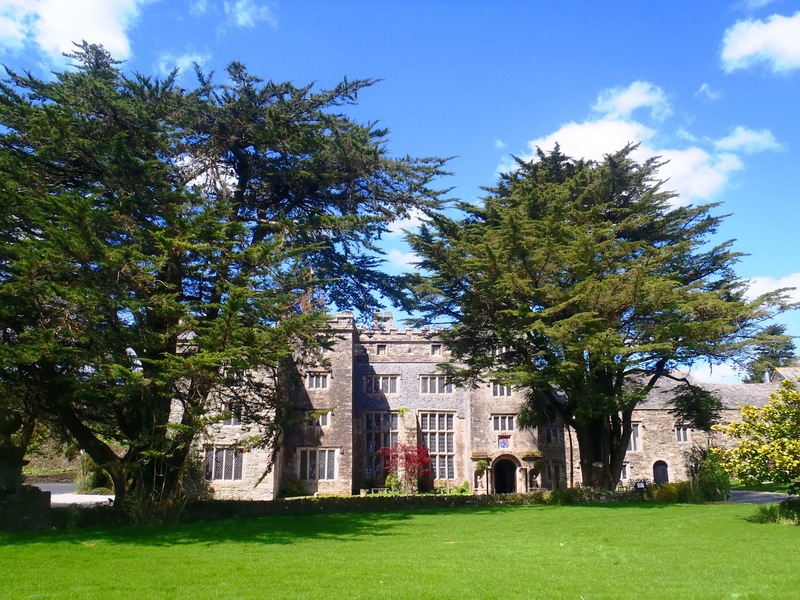 Bank holiday weekends are made for relaxation and 'me time' so I thought what better time to share with you my recent visit to Borindgon Hall in Plymouth, Devon last month. Travel is definitely a direction I'm looking to incorporate more of on my blog so please let me know if you enjoy these types of posts. I have quite a few overseas trips planned this year so I'm already working on some exciting content. 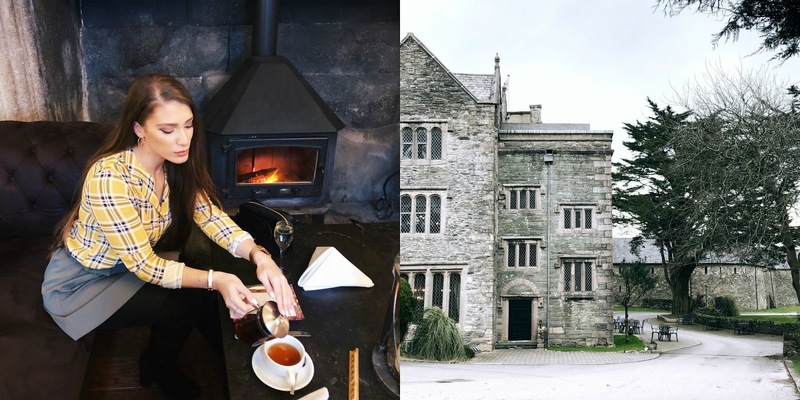 I was recently invited by Boringdon Hall to explore their hotel, try their brand new Afternoon Tea and experience their Gaia Spa. When their email hit my inbox I pretty much jumped for joy – I mean, have you seen the hotel?! It’s simply beautiful and offers you so much to do throughout your time there. The only thing in my way was a 4-hour journey from Bedfordshire to Devon but honestly, that didn’t stop us. We couldn’t wait! Where do I even start? The pictures speak for themselves but let's have a little run through. Named ‘the enchanted place on the hill', Boringdon Hall is a 5* hotel famous for it’s magically imposing nature and detailed history – both of which add to it's magnificent character. 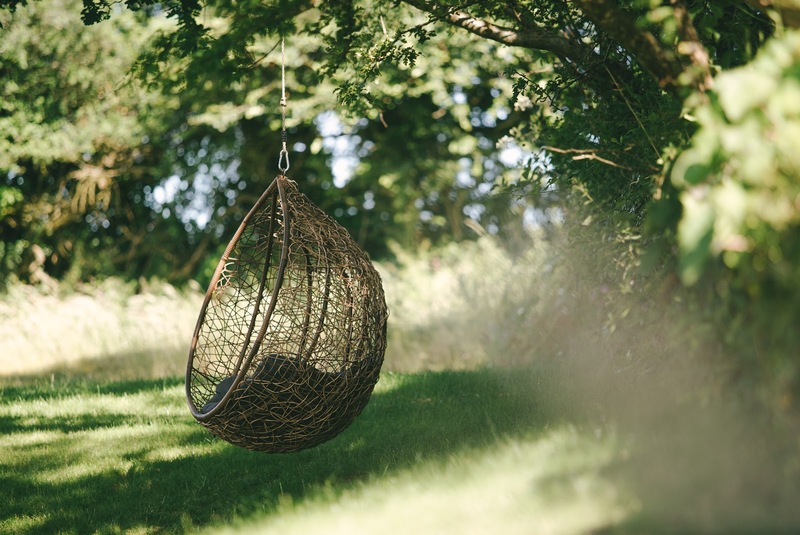 South Devon countryside is awe-inspiring as it is, and the landscape is only added to by Boringdon Hall. Elizabethan architecture dominates, complete with secret archways (full of Pigeons and Doves), stone towers, and character that hints at the rich history of the building – including some Royal connections dating back to 956. It’s an A Grade I listed country manor, complete with rooms, suites, and courtyard rooms that are a short walk from the manor house. You get the full experience when you stay here. We stayed in a room situated in Boringdon Hall's newest wing, in the Courtyard. The rooms are designed to combine space, comfort and practicality. We had plenty of plug sockets (which is great for a a woman on the go like me), complimentary wifi, Dualit coffee machine, mini bar, safe and luxury ESPA toiletries. What more could you want? Dining at Boringdon Hall is easily described as an ‘experience’ more than just a meal. 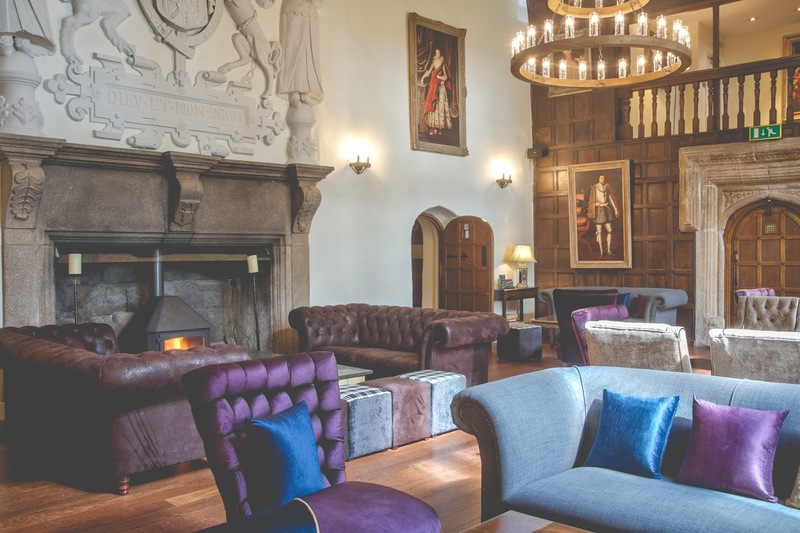 There are two restaurants; the five star fine dining Gallery Restaurant, head chef showcases British fare with locally sourced ingredients; and The Great Hall, where you are welcomed to cosy up by the fire with a cup of tea and light lunch. This is where you would enjoy your Afternoon Tea. We were sat in the comfy sofas right near the toasty fire. Now, when it comes to a hotel breakfast I seriously can't control myself. I don't just have one course, I go in for around five! Just keeping it real with you all haha. Anyone else like this? The great thing about Breakfast at Boringdon Hall was the fact it was unlimited. Yes, you read that correctly. You had a help yourself section full of yummy croissants, yogurts, fruit and more but then you also get a hot menu where you order as you go. I had the Full English and then the Buttermilk Pancakes! It was delightful and really set us up for our 4-hour journey home. You can head over to my Instagram to see more behind the scenes photos. 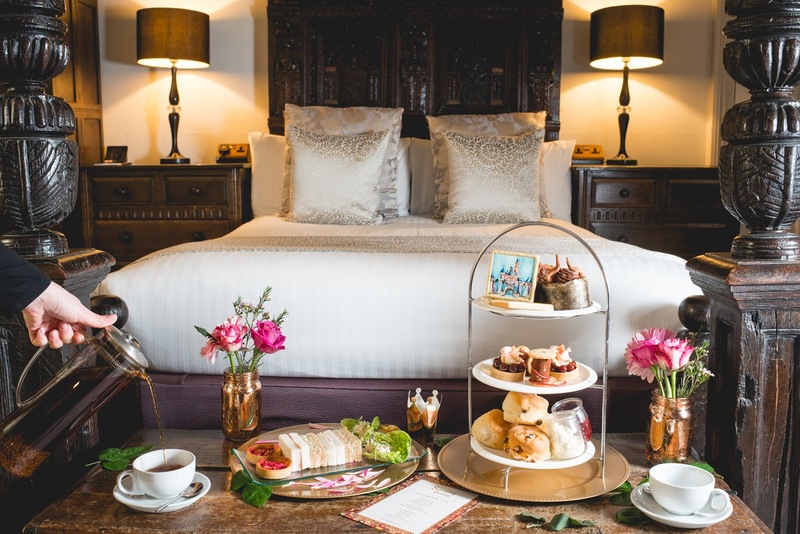 Afternoon Tea at Boringdon Hall is a real treat. It is served in the dramatic surroundings of the quintessentially English Great Hall and they offer an array of different packages from Traditional, Champagne, Gluten Free and Vegan – so there is something for everyone. Boringdon Hall's Special Edition Afternoon Tea's are carefully selected to complement the time of year, season or national occasion. The theme for March was ‘Sleeping Beauty’ who happens to be my favourite Disney Princess. I mean, this Afternoon Tea was pretty much made for me - If you know me personally then you will know how much I adore Afternoon Tea. The Afternoon Tea itself has been so successful that they have decided to carry it over into April. So, don't worry if you missed your chance to go last month - you can book up for April through the Boringdon Hall website here. 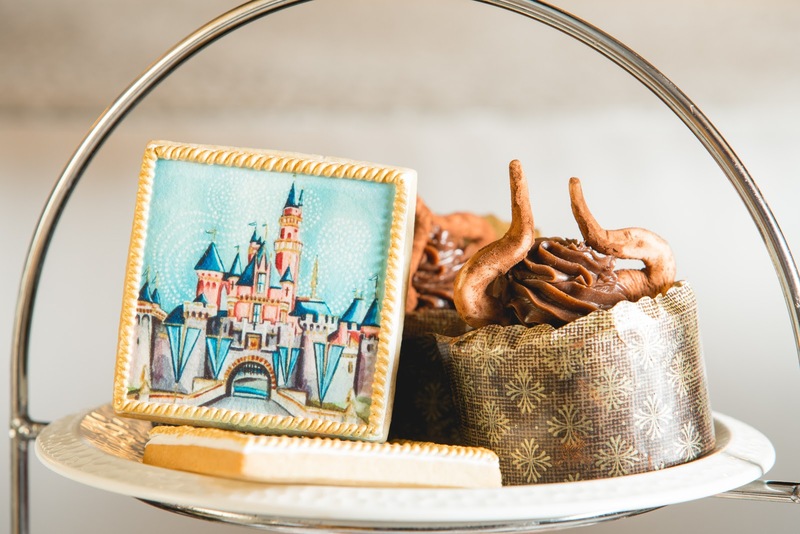 Indulge in Maleficent cupcakes, Coconut cotton reels, Dark forest and rose tarts, scones and delicious savoury treats. If I had to choose one item that was my favourite it would have to be the Iced Cookies - the detailing was incredible and they were so delicious. 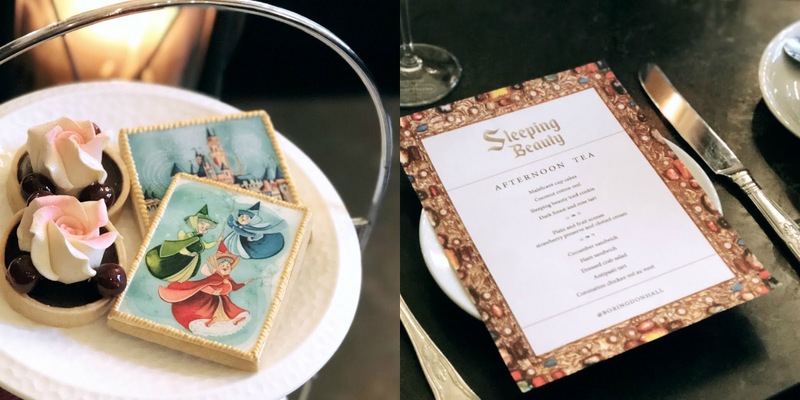 Overall, the Sleeping Beauty Afternoon Tea was everything and more. The service and attention to detail was outstanding and I would recommend it to anyone. 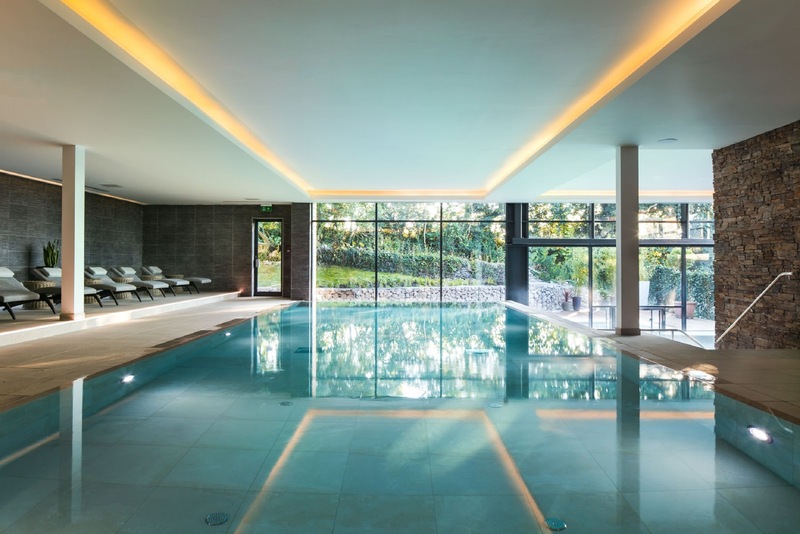 Priding itself on a unique spa experience, the Gaia Spa at Boringdon Hall is designed to realign and rebalance guests as they seek refuge in the modern spa and its wide range of facilities. 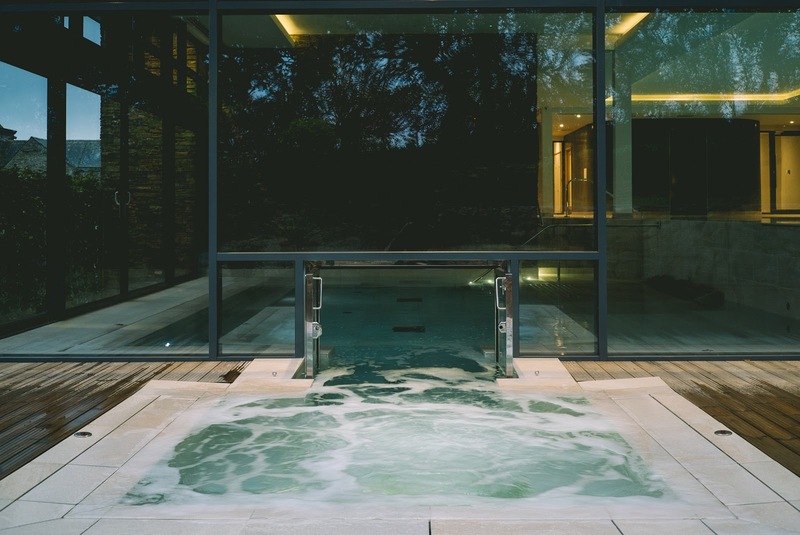 These include an infinity pool, hydrotherapy pool, Finnish sauna, crystal salt steam room, laconium, herbal sauna, traditional steam room, rejuvenating shower experiences, fitness suite, beauty suite, meditation space, and relaxation room. 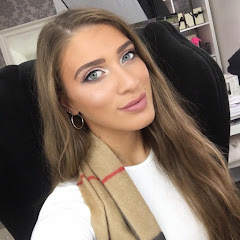 There are 10 single treatment rooms, and two double, for you to lie back and enjoy a treatment in total relaxation and feel confident in the highly trained hands of the therapists. 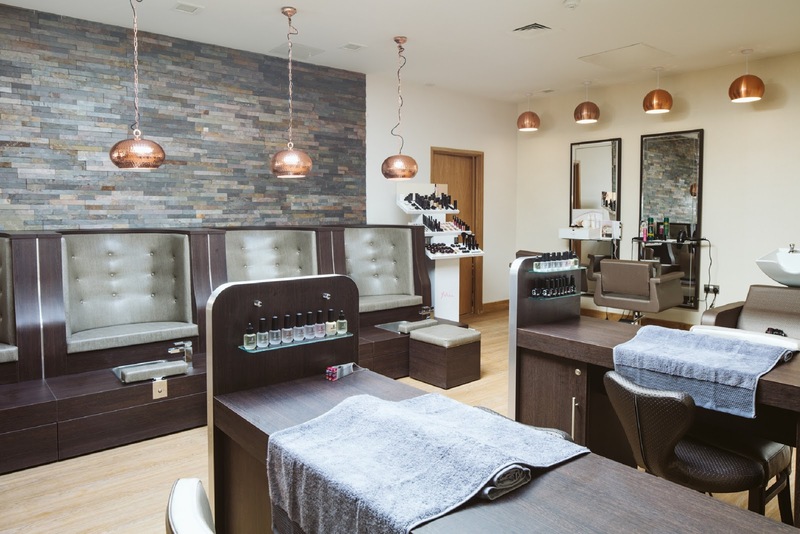 The product houses used are ESPA, and Gaia’s own natural product range. 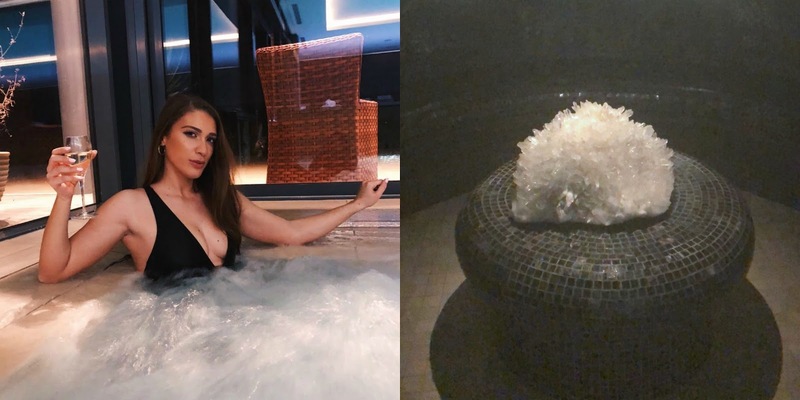 Can you believe that this was my first ever Spa experience? Plans to go to various places in the past somehow always seemed to fall through but now I’ve experienced it I know they will become a regular thing. After trying out all of the different facilities I honestly felt like a new woman. It’s amazing what some bubbles, steam and some relaxation can actually do and change the way you feel. If I had to choose my favourite I would have to say the Crystal Salt Healing Steam Room - I could sit in there for hours. The Spa was open until 10pm so we thoroughly enjoyed our time in the spa without the worry of being rushed. 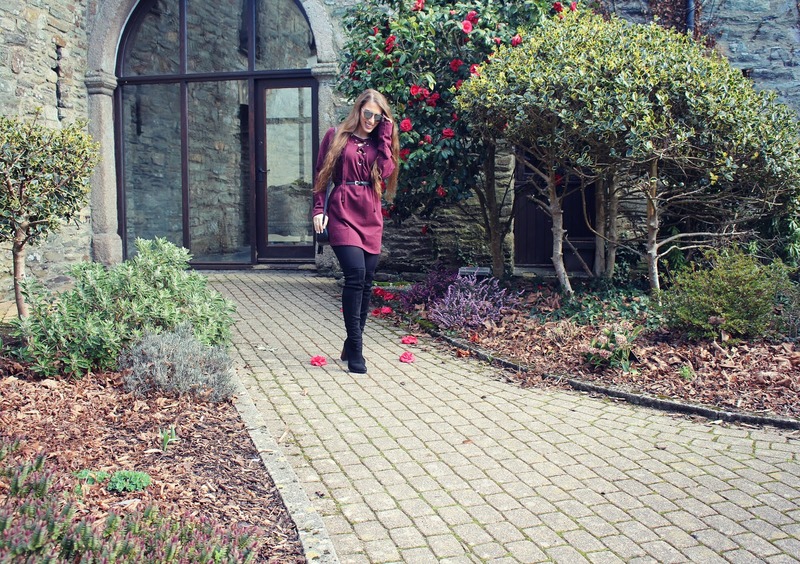 Overall, our stay at Boringdon Hall was simply stunning and completely faultless. Everything from the accommodation, the Afternoon Tea and the Gaia Spa - it was perfection. I would like to say another huge thank you to Boringdon Hall for inviting us down to stay - it was one of the best weekends I've had in a long time. 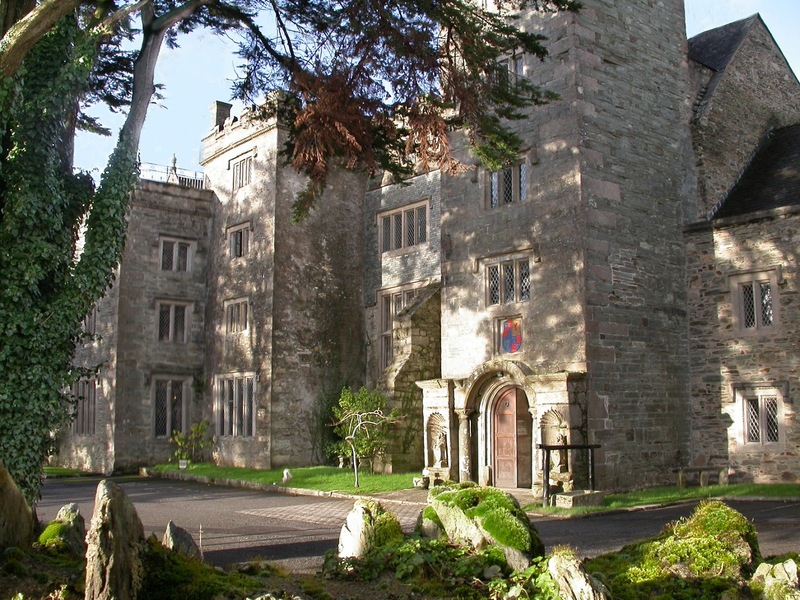 What do you think of Boringdon Hall? Would you stay there and try out their Gaia Spa? You can find out more about Boringdon Hall here and Gaia Boringdon here.